Metachromatic leukodystrophy (MLD) is an inherited metabolism disorder. MLD is a disease you’re born with that affects metabolism. Metabolism is how the body breaks down food into energy. In MLD, the body is missing an important protein (enzyme) to break down fat-based substances. When the fat-based substances aren’t broken down, they build up and cause damage. In MLD, the brain, nervous system, bones and other tissues are damaged. This causes problems with the ability to speak, hear, learn, and move. Late-infantile MLD – This is the most severe type of MLD. Between 6 and 24 months of age, children may have trouble moving or walking. Some children have muscle cramps, and problems talking and learning. Symptoms can get worse quickly. Juvenile MLD – Symptoms of this type of MLD are similar to late-infantile MLD. But, children don’t have symptoms until they are 4 – 12 years of age. Adult MLD – Teens and adults of any age can have this type of MLD. The first symptoms are often changes in personality and difficulty at work or school. How does blood or marrow transplant (BMT) work for MLD? 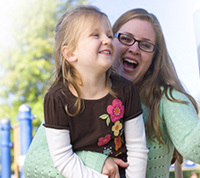 BMT, also known as a bone marrow transplant or blood stem cell transplant, can stop the MLD from causing more damage. It replaces the blood-forming cells (stem cells) that are missing the important protein with healthy ones. With healthy blood-forming cells, the body is able to break down fat-based substances normally. This keeps the brain, nervous system, bones and other tissues from more damage. But, transplant can’t fix any damage that has already happened. Allogeneic transplant is used for MLD. This type of transplant uses healthy, blood-forming cells donated by someone else to replace the unhealthy ones. These healthy cells can come from a family member, unrelated donor or umbilical cord blood. First, you get chemotherapy (chemo), with or without radiation, to kill the unhealthy cells. 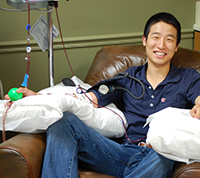 Then, the healthy, donated cells are given to you through an intravenous (IV) catheter. The new cells travel to the inside of the bones and begin to make healthy cells. The entire transplant process, from the start of chemo or radiation, until hospital discharge, can last weeks to months. This is followed by many months of recovery near the transplant center and at home. The transplant team will closely care for you to prevent and treat any complications. Most people have a better chance to stop the disease from getting worse if they have a transplant soon after diagnosis. 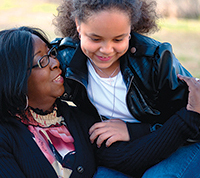 You or your child should see a transplant doctor as soon as you’re diagnosed. What are the chances transplant will stop the MLD from causing more damage? 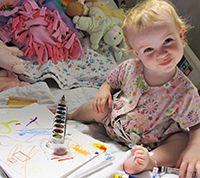 How might my or my child’s quality of life change over time, with or without transplant?